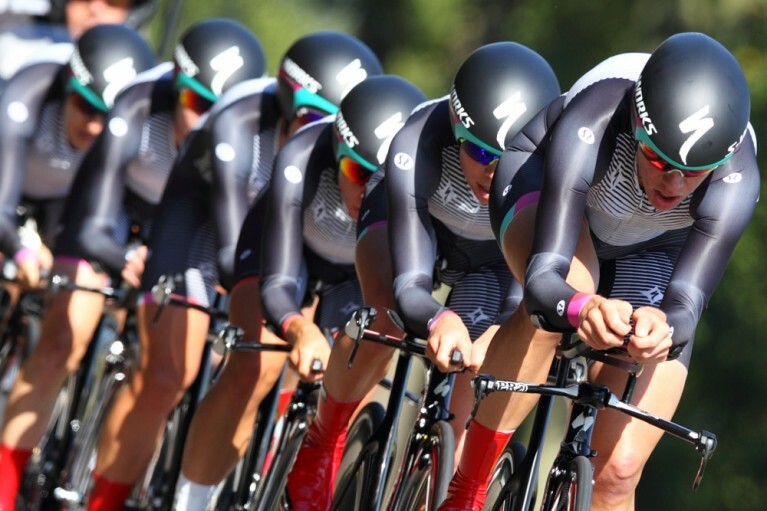 Inclusion of the team time trial (TTT) in stage races like the Tour de France has been the subject of debate for many years. Some think the TTT is fine the way it is and nothing needs to be changed. Some think the TTT has no place in stage races and should be eliminated. And some take the middle ground and argue that the TTT should be included in stage races but the way it is scored needs to be changed. At various times the Tour de France has taken all three of these approaches. In this article I’ll present a model for keeping the TTT and modifying how it is scored. 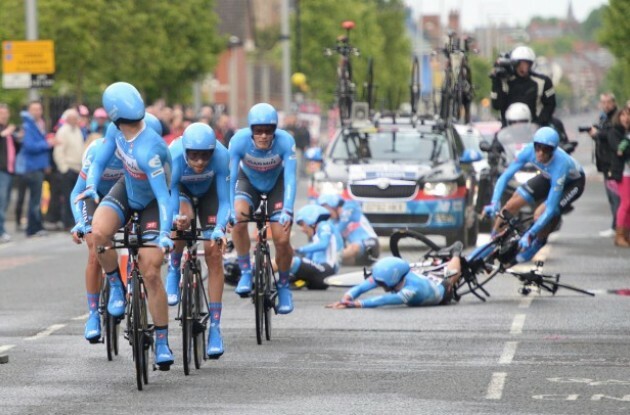 The TTT is one of the most difficult – maybe the most difficult – discipline in professional cycling. The riders must work together like a well-oiled machine to sustain a level of brutal, intense effort over the entire length of the race. 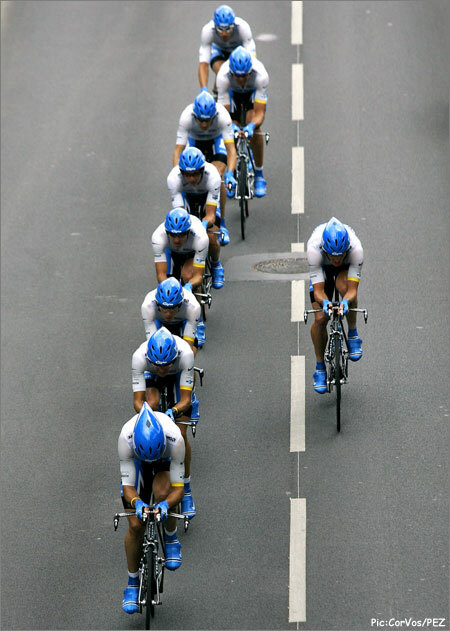 The team rides in a tight formation at extremely high speeds. Corners are negotiated with precision and grace. The line of riders constantly circulates as each rider takes a short pull at the head of the team and then drops back and attaches to the end of the line for a “rest” period until his turn at the front comes around again. 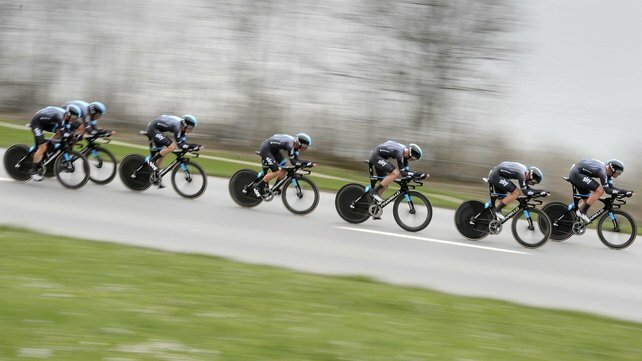 The TTT is an utterly unforgiving discipline where a weak rider or a single mistake can dash the hopes of the entire team..
A well-practiced time-trial team is a beautiful sight to behold which is why it would be a shame to see it eliminated from the Grand Tours (the Giro d’Italia, the Tour de France, and the Vuelta a España) . However, it comes with a unique set of problems which detractors justifiably point out in arguments for why it should not play a role in stage races of any kind. Developing a skilled TTT team takes practice, a lot of practice. And therein lies one of the problems with the TTT; most professional teams have very little motivation to devote the time to train for it. 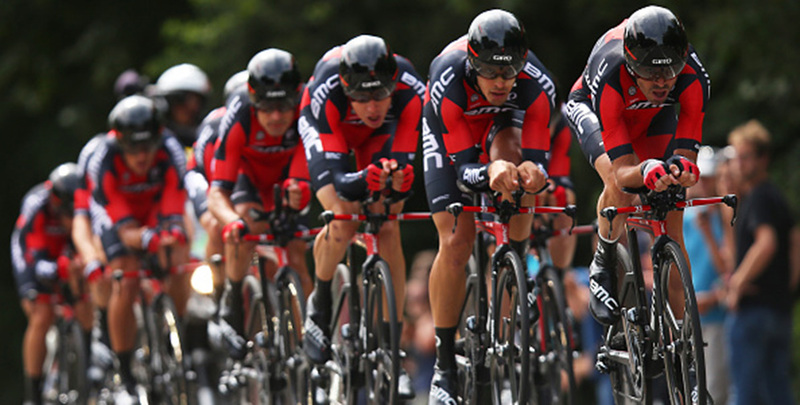 The World Tour events are the premier events in professional cycling. In 2015 there are 149 days of racing in World Tour events, 14 one-day races, 134 individual stages spread out over 13 stage races, and the TTT at the World Championships. Of the 149 days of racing there are only 6 TTTs, one in each of the three Grand Tours, 1 in the Tour de Romandie, 1 in the Critérium du Dauphiné, and the World Championship TTT. Competition in the World Championships is based on nationality, not professional team. Thus the pro teams race in 148 days of World Tour racing of which 5 are TTTs. In other words, TTTs make up only about 3% of the World Tour race days a pro team competes in over the course of the year. It’s not enough to make practicing the discipline worthwhile for most teams. As the World Tour is currently structured, the only teams that really need to practice the TTT are the handful that have a serious contender for winning the GC (General Classification, i.e., the overall winner of the race) in one of the Grand Tours. The time in a TTT is taken on the fifth rider to cross the finish line. Every rider who finishes with the team (usually not all of them do) is given this time. This means that the rider who is a contender for the GC gets the time of the fifth best rider on the team. There are often large time gaps between teams in TTTs and over the years many serious contenders for the overall win have fallen too far behind to compete because their teammates were not strong enough or not practiced enough to turn in fast TTT times. Opponents of including the TTT in stage races argue that it shouldn’t be the case that riders are knocked out of contention for the overall win because of time lost by weaker teammates. As it stands now, inclusion of a TTT in a stage race runs the risk that this single stage can have large and negative consequences for the overall GC competition. If race organizers and fans hope to see a hard fought contest for the GC among all of the top contenders, the best they can hope for is that the TTT doesn’t have any effect on the overall race. 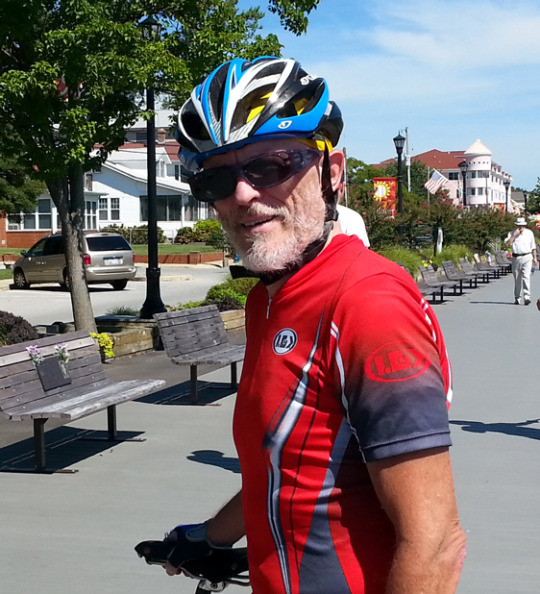 It’s no wonder that so few stage races include TTTs. In 2015 the Giro d’Italia and the Vuelta a España addressed these problems by scheduling short TTTs as the first stage of the race. The TTT in the Giro was a short 17.6 kilometers and the Vuelta’s TTT is a very short 7.4 kilometers. The idea is that these short distances will result in smaller time gaps between teams. In addition, holding the TTT on a tour’s first day gives a team additional motivation to practice it because the winner of a tour’s first stage wear’s the overall winner’s jersey (e.g., the yellow jersey in the Tour de France) on the next day and can often keep it for several days of racing. The problem with scheduling a short TTT on a tour’s first stage is that the TTT is too short to be much of a challenge and it ends up being more of an exhibition than a contest. 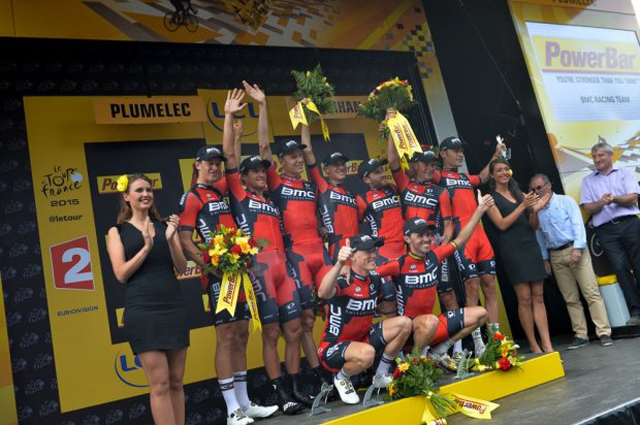 The Tour de France opted to hold a longer and more challenging TTT as the 9th stage in the 2015 race. At 28 kilometers the stage was still short but it was more of a contest than the TTTs in the Giro and the Vuelta. However there was a 4:58 gap between first and last place which is more than enough to eliminate every rider on the last place team from contention for winning the yellow jersey. What can be done to make the TTT more attractive to race organizers who want to include TTTs but don’t want to risk having the results dominate the GC competition? I will suggest an approach called the constant time model that allows for longer and more challenging TTTs and at the same time reduces the large time gaps that typically accompany longer TTTs. After examining the strengths and weaknesses of the model I will suggest a modified version that maintains the model’s strengths and mitigates it’s weaknesses. In the constant time model every team is given the same base time for the TTT. This can be the time of the fastest team, the slowest team, the average time for all teams, or the median time. Which time is chosen as the base time makes no real difference for the overall outcome in this version of the model. where TT = time for the TTT, BT = the base time, F = the position in which a team finishes, and LT = the time-loss constant. For example, if LT = 3 seconds, then the team that finishes first gets the base time, the team that finishes second gets the base time + 3 seconds, the team that finishes third gets the base time + 6 seconds, and so on. There are 22 teams in this years Tour de France which means that application of the constant time model would result in a 63 second time gap between first and last place in the TTT ((22-1) x 3 seconds = 63 seconds). This is a significant amount of lost time for a rider who wants to win the Tour but unlike the 4:58 that was lost by members of the last place team in this year’s TTT it is not enough to eliminate a rider from contention for the yellow jersey. The organizers of the Tour de France adopted a similar scoring method for the TTT in the 2004 and 2005 tours. The maximum loss was set to 3 minutes and the loss each team suffered was based on convoluted scheme that combined the team’s finishing place with a range of possible times between one team the team that finished just ahead of them. The constant time model is much simpler. The constant time model has both strengths and weaknesses. The main strength of the model is that it reduces the maximum amount of time that can be lost in a TTT in such a way that GC contenders on poor time trial teams face a time deficit that is significant without being insurmountable. This strength can be shown by applying the constant time model to the TTT results from the 2009 Tour de France in the table below. Astana’s winning time is shown in the first row. Subsequent rows show the amount of time lost by each team. As can be seen in the table, application of the constant time model insures that no rider loses all hope of winning the GC because his team did poorly in the time trial. When LT = 3, application of the model increases the time lost by Sky and Movistar who finished 1 and 4 seconds respectively behind the winner BMC. Reducing LT to 1 or 2 solves this problem but increases the problem of overlarge reductions in the losses suffered by competitors that did not do well in the TTT. These problems can be solved by a modified version of the constant time model. In the modified model the base time (BT) is not set at the stage winner’s time. Instead it is set at a time slower than the winner’s time and time adjustments are only applied to teams that lost more than the base time. For example, set the base time at 1 minute. Every team that finishes less than 1 minute behind the winner gets their real time. The first team that finishes 1 minute or more behind the winner also gets their real time and their time is set as the base time. All of the teams that finished behind the team with the base time have their time adjusted by the constant time model. The results for both the 2009 and 2015 TTTs are shown in the following table with LT = 3. Application of the modified model preserves the advantages Astana won over its nearest competitors in the 2009 TTT while at the same time eliminating the penalties suffered using the unmodified model by Sky and Movistar in the 2015 TTT. In addition, all of the teams in both TTTs that benefit from reduced losses suffer a loss of a least 1 minute which is significant, while none of the teams suffer losses greater than 2:05 which leaves every rider with at least a chance of winning the GC. The modified constant time model insures that no team will lose so much time in the TTT that their GC contender is eliminated from contention. The modified model also insures that teams with serious GC contenders have a reason to excel at the TTT because time gaps that are less than or equal to the base time are retained. The model effectively divides the teams in a TTT into two groups. The top TTT teams in the first group are racing for real time differences. Riders on the lower quality teams in the second group face a significant time loss but are not eliminated from having a chance at winning the GC because of poor TTT performance. Race organizers can set the dividing line between these two groups by adjusting the base time value (BT), and can fine tune the maximum amount of time lost by adjusting the time-loss constant (LT). Adoption of the modified constant time model for scoring TTTs has the potential to invigorate the TTT as a regular component in stage races. Organizers of stage races that are shorter than the three-week grand tours can include a TTT stage without fear that the results will dominate the entire race. Stage races can include longer and more challenging TTTs without fear that the unmodified time gaps will have a serious negative impact on the GC competition. If more race organizers include TTTs in their races, a larger proportion of racing days will be devoted to the TTT, teams will have more motivation to train for it, and they will have more success when they ride it. Instead of being a race where the best thing that can happen is that nothing of consequence happens, the TTT can join the field sprint, the mountaintop finish and the individual time trial as respected and eagerly anticipated stages in a stage race.